What’s up with the Latin title you ask? Well … it seemed appropriate for Tarragona, which was once one of the most important cities in the Hispanic Roman Empire. Of course back then it was called Tarraco, and it was THE capital of the province Tarraconensis. Augustus, the first Roman emperor, wintered in Tarraco after his Cantabrian campaign and bestowed the city with many honors. 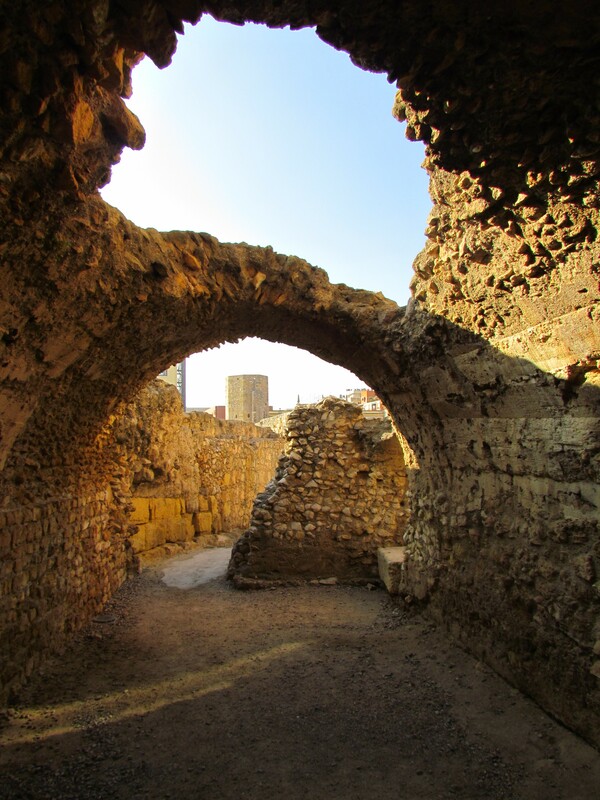 Today the Roman ruins of Tarragona have been designated a World Heritage Site by UNESCO. Even if you aren’t rabid ruin romantics like Wade and I, you will enjoy all this city has to offer. It is also an ocean resort town that is very popular with Spanish tourists, and the odd foreigner or two. The underbelly of the Roman Forum. We love how the locals have left the ruins exposed but have them surrounded by apartment buildings, museums, churches and an elementary school too. 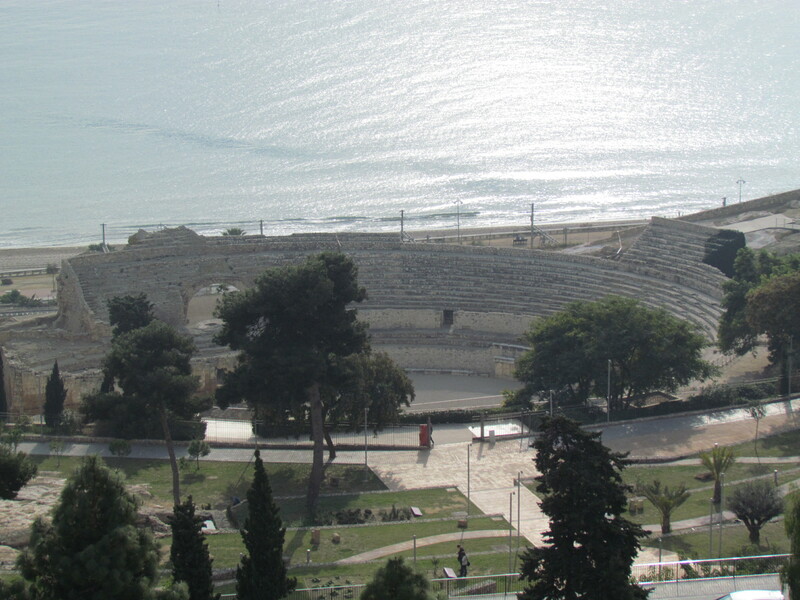 Unlike most ampitheatres, this one is built right next to the sea--probably because the Romans could use the natural terrain instead of building the entire thing from scratch. 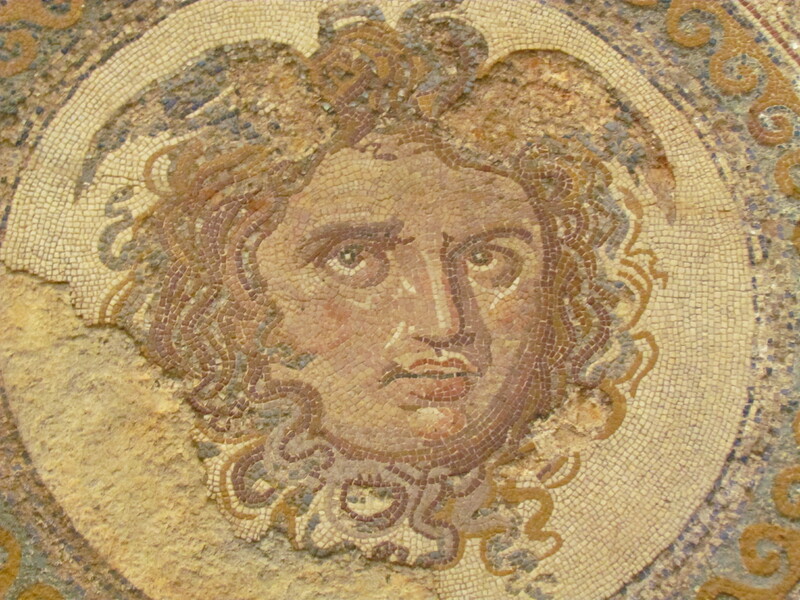 Bad hair day immortalized (since the 3rd century BC). 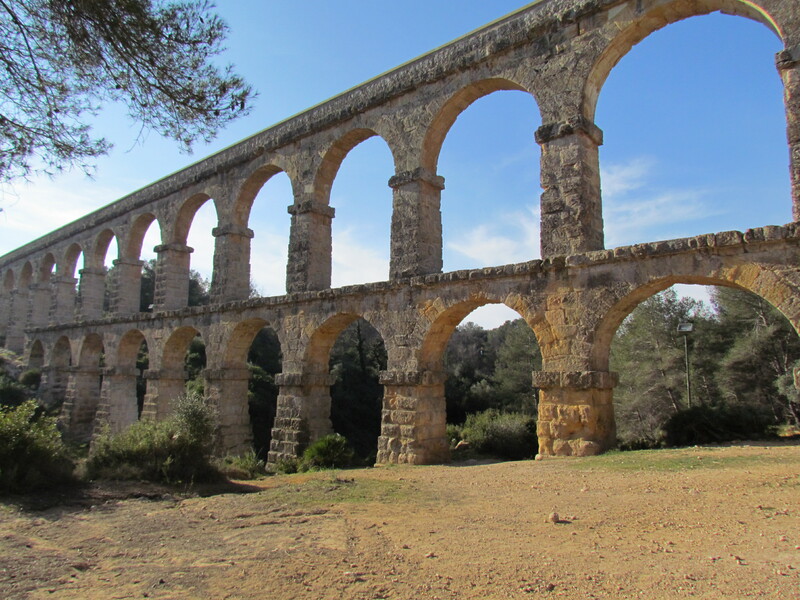 This aqueduct is also called Puente del Diablo, which means "Devil's Bridge", because it has yet to fall down. According to the locals, all bridges fall down--eventually. This one has been standing for at least 2 000 years. You can walk along the top of it just like a bridge. 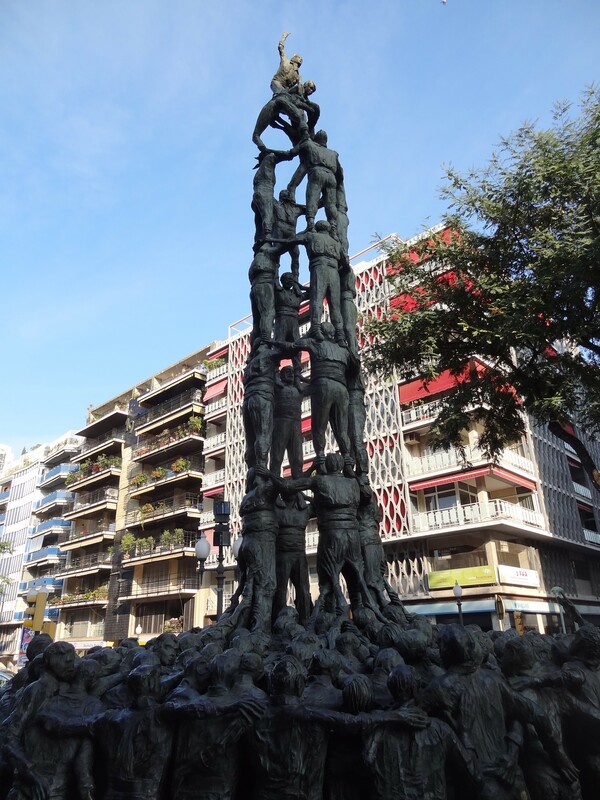 Every August and September the city celebrates two important festivals by building "human" castles. These people are called Castellars. The towers can be "10 men high". Guess who goes on top? You guessed right if you said, "the children". Now the children have to wear protective helmets but not in the past. Scary thought, eh? We came across this mural (complete with Christmas decoration) during one of our "wanderings". The city has many unique murals but this one is our favorite. 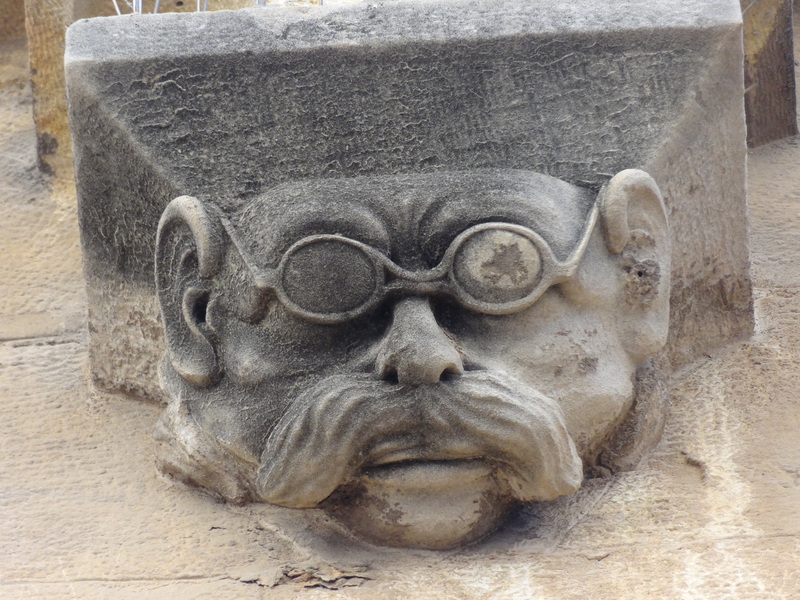 This strange fellow decorates a medieval church, which was once the site of a Roman temple. Near the forum and the circus is a medieval tower. If you climb to the top, you ca see for miles and miles! What a gorgeous view! *”I came, I saw, I conquered.” This phrase is attributed to Julius Caesar not Augustus. 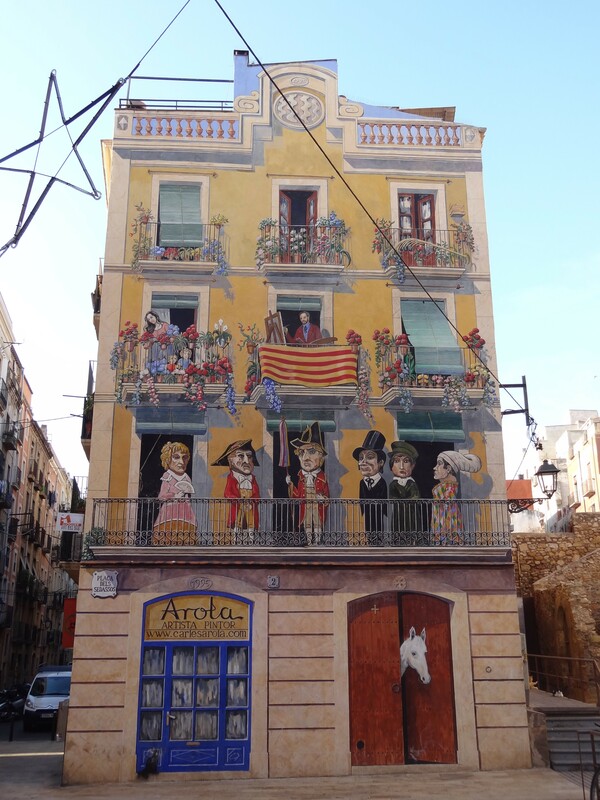 We’re not sure what it has to do with Tarragona, we just didn’t want to use “carpe diem”. I guess you could say “Wade and I conquered Tarragona.” Not.